How 2015 Ready Are You? I opened my email this morning and was bombarded by advice on how to end the year with a bang. For most of us, those with longer sales cycles, that horse has left the barn. Trying to course correct now is too little, too late. I'm sure you've spent countless hours on strategy and planning for next year. I'm asking you to spend 5 more minutes. 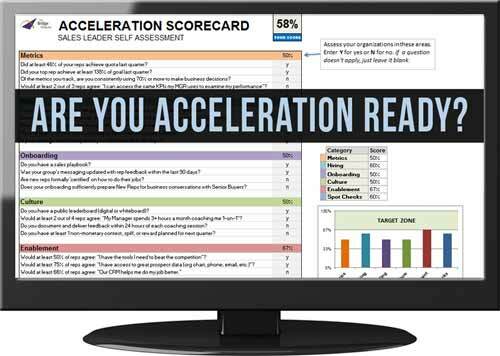 As inside sales leaders, the next few days and weeks are the perfect time to assess your readiness for 2015. I've created a 2015 Readiness Scorecard to make it easy for you. Take a look and let me know what you think. Good selling for Q4 and Happy Holidays!